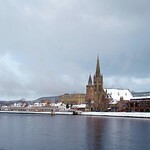 Inverness is the largest town in the Highlands and the busy and prosperous hub of the region. All main routes through the Highlands pass through here at some point, so it's a hard place to avoid. The town's position at the head of the Great Glen and on the shores of the Moray Firth have made it a firm favourite with tourists, who flock here in their legions during the summer months to look for the evasive Loch Ness Monster. 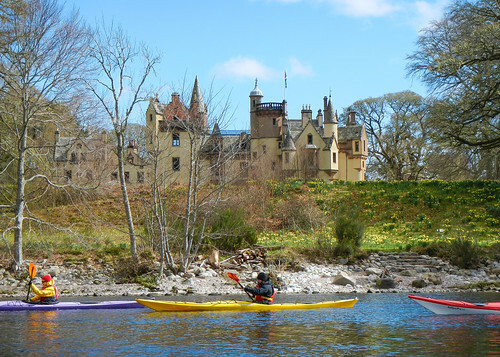 Though Inverness has little in the way of major sights, it's a pleasant place to base yourself as you explore the other, more visible attractions on offer in the surrounding area, including the resident population of dolphins in the Moray Firth. The town, though, is not without its own appeal, particularly the leafy banks of the River Ness, which runs through its heart, linking Loch Ness with the Moray Firth. One of the town's first visitors was that much-travelled cleric, St Columba, who came in AD 565 to confront the Pictish King Brude, whose fortress was reputedly at Craig Phadraig, a few miles west of Inverness. 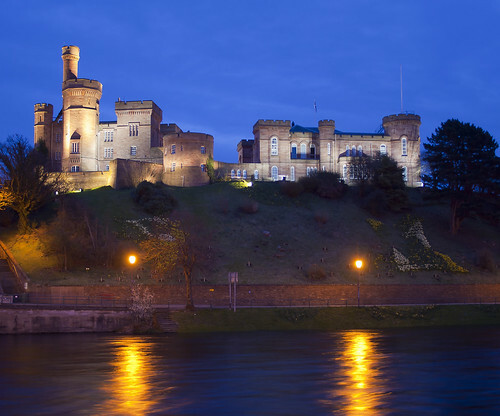 Around the mid-12th century King David I built the original castle and made Inverness a royal burgh on the strength of its growing importance as a trading port. Furs, hides, wool and timber were all exported as far afield as the Mediterranean. 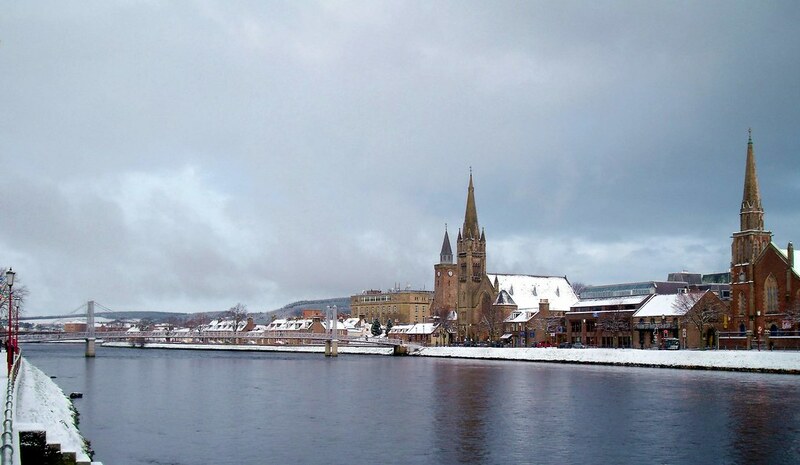 The town's economic prosperity and status as the most important northern outpost, however, made it a prime target for marauding Highland clansmen, and during the Wars of Independence in the 13th century Inverness was also a regular target for both English and Scots armies. The town's renaissance came with the completion of the Caledonian Canal and rail links with the south in the 19th century. These improved communications heralded something of a tourist boom amongst the wealthy and fashionable who came north to the Highlands to shoot anything that moved in the name of sport. In the mid-19th century Queen Victoria decided to embrace all things Scottish, which only boosted the town's popularity. 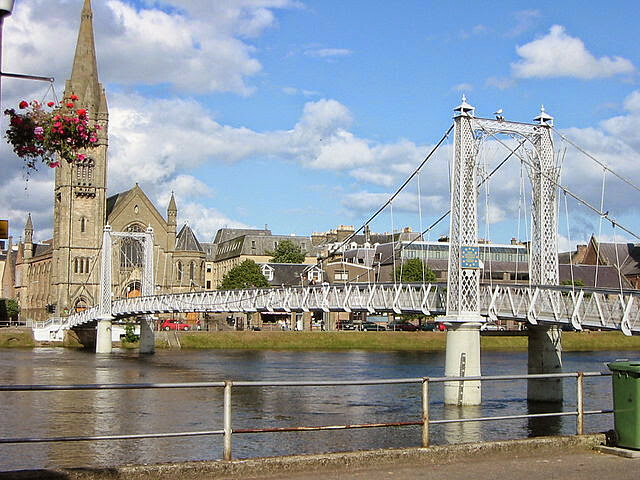 Over recent decades Inverness has grown rapidly, not only as a prime base for visiting tourists, but also as the main administrative and commercial centre for the Highlands. Sample the delicious treats of Highland and International cuisines in any of the outlets that serves Indian, Chinese, Thai, Itlaian, The Mexican. Tips on useful words to be used: Menu/ Clàr Bìdh, I'd like to order/ Bu mhath leam taghadh a dhèanamh, Can I have the bill?/ Am faigh mi an cunntas? 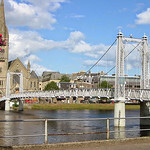 Inverness may not have succeeded in becoming a European city of culture, but it is sloughing off the Victorian city atmosphere and becoming a thriving, almost joint jumping city thanks to an influx of younger professionals, Scottish executive civil servants and returnees - all seeking a better standard of life. At 108 Academy St is the Phoenix, one of the best pubs in Inverness and always lively. Next door is an Irish theme pub, Lafferty's, which features Scottish/Celtic live music on Fri and Sat. Across the street is Blackfriars, which is another good pub. 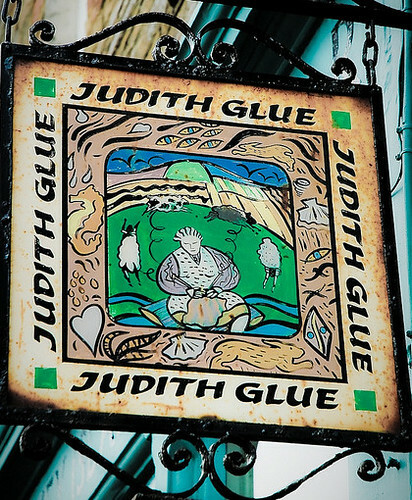 Gellions, on Bridge St, has varied live music throughout the week; and Johnny Foxes, at 26 Bank St, features Irish folk music every night in summer as well as boasting one of the most unusual pub menus around. Chilli Palmers, on the corner of Queensgate and Church St, is a trendy new bar offering decent food and a DJ at weekends, and you can enjoy a Jazz Lunch on Sun at No 27, on Castle St. There are daily flights to and from London Gatwick,Glasgow and Edinburgh with British Airways (continuing to Kirkwall and Sumburgh), and daily flights to and from London Luton with easyJet. There are also flights to and from Stornoway Mon-Sat with British Airways Express. 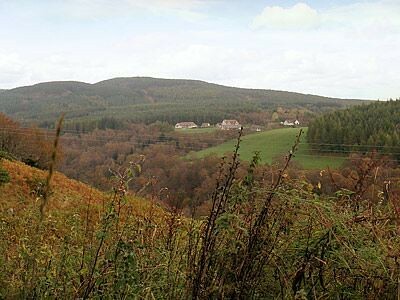 The airport is 7 miles east of the town, at Dalcross (Tel. 01463 232471). A twice-daily airport bus to and from the town centre connects with London and Stornoway flights. It takes 20 mins. A taxi to/from the airport costs around £10. The bus station is nearby, just off Academy St (Tel. 01463 233371). Left luggage open Mon-Sat 0830-1800, Sun 1000-1800. The train station is at the east end of Academy St (Tel.01463 238924). There are regular services to Aviemore, Perth, Glasgow, Edinburgh, Kyle of Lochalsh (for Skye). Left luggage lockers at the train station. Inverness is 109 miles from Aberdeen, 161 miles from Edinburgh and 117 miles from Perth. Inverness is accessed from the south by the somewhat notorious A9 Road which is the major trunk route north but has lacked investment for many years and is too frequently single carriageway and at others is a accident blackspot. 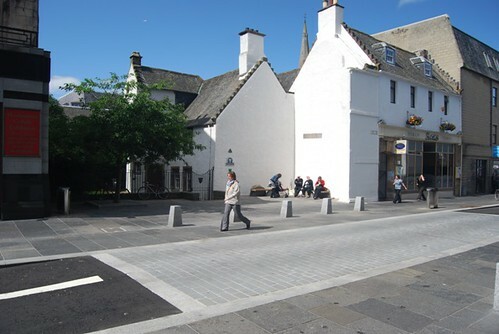 Inverness town centre is compact and easy to explore on foot, and most of the hotels and guesthouses are within a 15-min walk of the TIC. Loch Ness is not within walkable distance, so you'll need your own transport, or alternatively book a tour. Cycle hire: try Barney's Bicycle Hire & Shop, 35 Castle St, Tel. 01463 232249. (no website) Open 0900-2100. 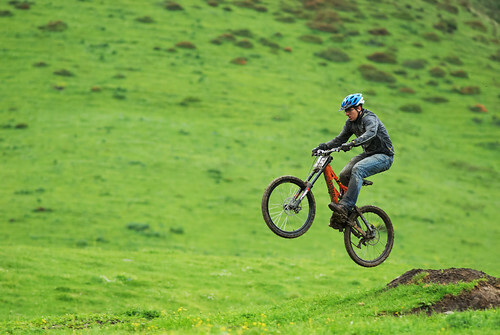 Mountain bike hire from £7 per day. Also bikes for hire from Bazpacker's Hostel. The Inverness Tourist Information Centre (aka TIC), Tel. 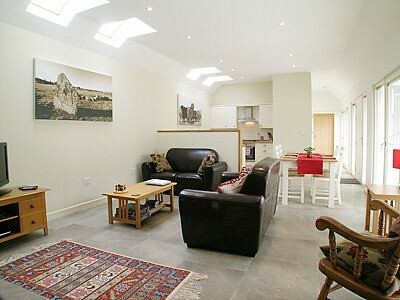 01463 234353, is on Castle Wynd, near Ness Bridge, 5-mins walk from the train station. It stocks a wide range of literature on the area, can book accommodation and transport and gives out free maps of the town and environs. Tickets for all the local tours are available to book there if you have not prebooked. Open 2 Apr-27 May Mon-Sat 0900-1700, Sun (Easter and from 6 May) 1000-1600; 28 May-24 Jun Mon-Sat 0900-1800, Sun 0930-1700; 25 Jun-22 Jul Mon-Sat 0900-1900, Sun 0930-1700; 23 Jul-19 Aug Mon-Sat 0900-2030, Sun 0930-1800; 20 Aug-2 Sep Mon-Sat 0900-1900, Sun 0930-1700; 3 Sep-30 Sep Mon-Sat 0900-1800, Sun 1000-1600; 1 Oct-21 Oct Mon-Sat 0900-1700, Sun 1000-1600; 22 Oct-Apr Mon-Fri 0900-1700, Sat 1000-1600. There are regular daily buses to Glasgow and Edinburgh via Aviemore, Pitlochry and Perth with Scottish Citylink (Tel. 0990-505050). Change at Perth for Dundee. There are regular daily Citylink buses to Ullapool, connecting with the ferry to Stornoway; also to Fort William and Oban. There are daily Citylink buses to Kyle of Lochalsh, Portree and Uig (connecting with ferries to Tarbert and Lochmaddy). There are regular Citylink buses to Fort Augustus via Drumnadrochit and Urquhart Castle (also with Highland Bus & Coach, Tel. 01463 233371), and to Scrabster, for the ferry to Stromness, via Wick and Thurso; also with Morrison's Coaches, Tel. 01847-821241. Buses have services to places around Inverness, including Nairn, Forres, Culloden, Beauly and Dingwall. Bluebird have regular buses to Aberdeen, via Nairn. Avis is at the airport (Tel. 01667-462787); Budget is on Railway Terr behind the train station (Tel. 01463 713333); Europcar has an office at the Highlander service station on Millburn Rd (Tel. 01463 235337), and at the airport; Thrifty is at 33 Harbour Rd (Tel. 01463 224466). Expect to pay from around £30 per day. For details of connections to Stornoway (Lewis) contact the CalMac office in Inverness, Tel. 01463 717681. Rank Radio Taxis, Tel. 01463 221111/220222; Tartan Taxis, Tel. 01463 233033. There are direct trains to/from Aberdeen, Edinburgh via Aviemore, and Glasgow. There are several daily services to/from London King's Cross, via Perth and Edinburgh, including a sleeping car service. There is also a regular service to Wick and Thurso, via Tain, Lairg and Helmsdale. The journey from Inverness to Kyle of Lochalsh (for Skye) is one of the most scenic in Britain. There are 3 trains daily (none on Sun). Phone Tel. 0845-7484950 for all rail enquiries. Check here for railway reservations and train tickets. Raigmore Hospital is on the southeastern outskirts of town near the A9 (Tel. 01463 704000) for accidents and emergencies. Pharmacies: Boots is in the Eastgate Shopping Centre; open daily 0900-1730, Thu till 1900. Inverness library is just around the corner from the bus station. It has an excellent genealogical research unit. Consultations with the resident genealogist cost from £12 per hr; Tel. 01463 236463, for an appointment. 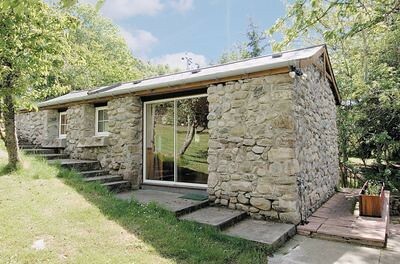 The library also houses the Highland archives, where you can research the history and culture of the region. Open Mon-Fri 1100-1300 and 1400-1700; Oct-May 1400-1700 only. The Gate café bar, opposite the post office, has internet facilities and serves drinks and snacks from 1000-2100. Post office: the main branch is at 14-16 Queensgate, Tel. 01463 234111. Open Mon-Thu 0900-1730, Fri 0930-1730, Sat 0900-1320. All the major banks can be found in the town centre. The Royal Bank is opposite the post office on Queensgate; the Bank of Scotland is opposite the Town House on the High St; the Clydesdale is opposite the train station; and Lloyds TSB is on Church St. Foreign currency can also be exchanged at the tourist office's bureau de change at 2.5% commission (see below for address and opening hours). Also Thomas Cook, 9-13 Inglis St, Tel. 01463 711921, Mon-Fri 0900-1700; and Alba Travel (American Express agents), 43 Church St, Tel. 01463 239188, Mon-Sat 0900-1700. 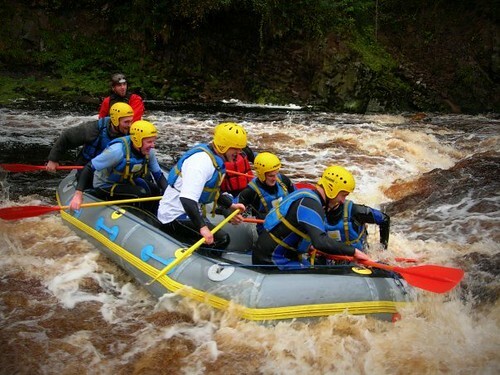 There are a large number of tours running to Inverness and Loch Ness from Glasgow and Edinburgh including a number of daily tours which are long but capture the essential Highlands. 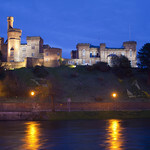 You can see our list of Inverness Tours and there are some local tour companies as well. 'Capital of the Highlands', Inverness is the largest town in the region and is a superb base to visit the many attractions of Scotland. Whether you choose to visit, shop, relax, explore or just live Inverness, it is a place that boasts about the historic buildings and the variety of places to visit. Take an open-topped bus ride to view the city corners of Inverness. Go for a stroll to get a look at the red sandstone castle. The town's oldest building - Church Street, find the bullet holes left in the gravestones by the firing squad in the massacre after Culloden. A seaside walk- Nairn, to relax and enjoy the sunset. 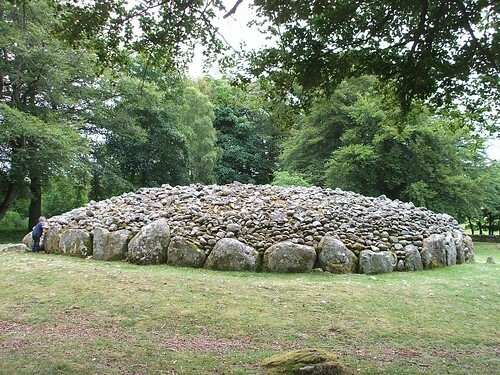 Check into the past of Inverness - Clava Cairns, to know more about the history of this tinsel town. The Highland Aviation Museum- Dalcross, get a look at the small collection of aircraft and aircraft noses. Opposite, on the corner of Bridge Street and Church Street, is the Tolbooth Steeple which dates from 1791 and which had to be repaired after an earth tremor in 1816. Church Street also boasts the town's oldest building, Abertarff House (built around 1592), which is now owned by the National Trust but not open to the public. 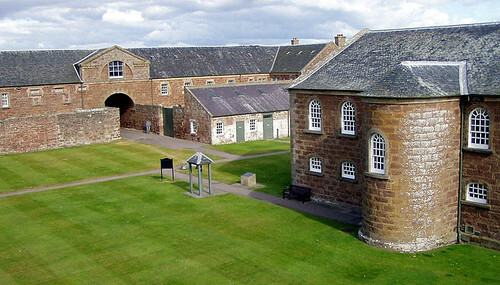 Almost opposite is the much-restored Dunbar's Hospital, built in 1688 as an almshouse for the town's poor. At the end of Church Street, where it meets Friar's Lane, is the Old High Church, founded in the 12th century and rebuilt in 1772, though the 14th-century vaulted tower remains intact. In the adjoining graveyard prisoners taken at Culloden were executed, and you can still see the bullet marks left by the firing squads on some of the gravestones. Info - The church is open Fri 1200-1400 and during services; guided tour at 1230. Nearby, directly opposite the castle, is the neo-Gothic St Andrews Cathedral which dates from 1869, and is worth a peek if you're passing by. Continuing south along Ness Bank, past the Eden Court Theatre (see 'Entertainment' below), you reach Bught Park, which overlooks the Ness Islands, joined by footbridge to both banks. The islands are attractively laid out as a park and are a favourite with local anglers. This also happens to be a lovely place for a peaceful evening stroll. Nightlife- With all the main routes of the Highlands passing through Inverness at some point or the other, it is a hard place to avoid and has its own appeal. With an abundance of B&B's, guesthouses and several quality hotels in and around the place, you wouldn’t have much trouble in finding a place to stay. Also when it comes to the tourist destination staples, the plethora of clubs, restaurants, bars are endless and it is the same here. Eden Court Theatre is on Bishops Rd, overlooking the River Ness. It offers a varied programme of theatre, dance and all kinds of music. There's also a bar and self-service restaurant with good food and views over the river. The attached cinema shows a programme of art-house and newly released movies, for information: Tel. 234234. Prices vary depending on the performance. 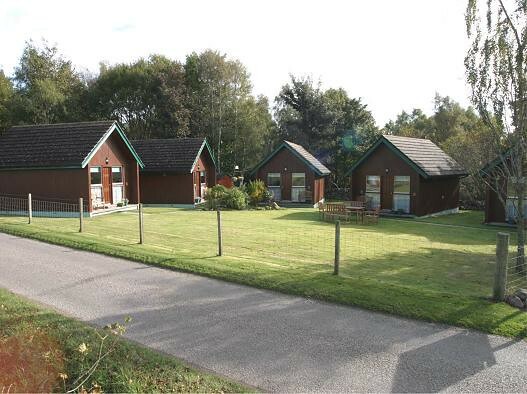 The 7-screen Warner Village is on the A96 Nairn Rd, about 2 miles from the town centre. 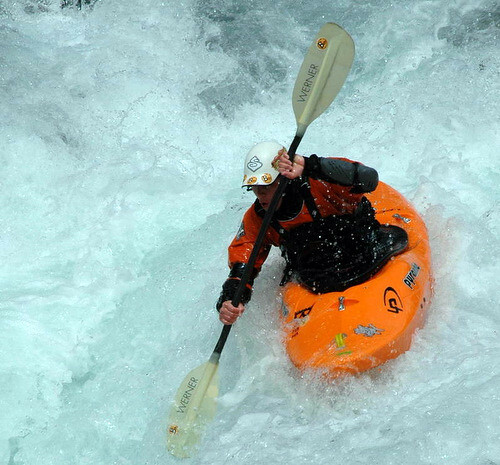 There are numerous events held in and around Inverness throughout the year. 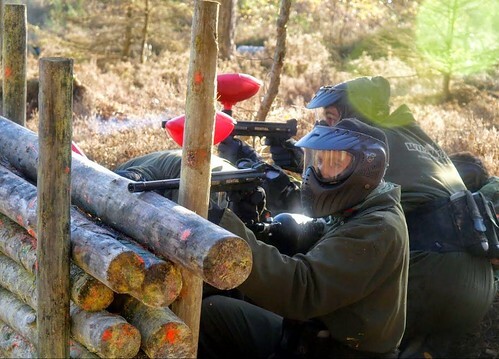 These range from a humble pub ceilidh to a full-blown Highland Games. For details contact the Tourist Information Centre or visit their website. The best of the local folk festivals are held over the Easter weekend (Tel. 01738-623274), and the excellent Highland Festival takes place over 3 days in July. There's also a festival of folk music in Jul and Aug at Balnain House. 10-pin bowling at Roller Bowl, 167 Culduthel Rd, Tel. 235100. Open Mon-Fri 1200 till late, Sat-Sun 1100 till late. The best golf course in the area is at Nairn. There's an 18-hole municipal course at Torvean, 2 miles from town on the A82 to Fort William, Tel. 711434. 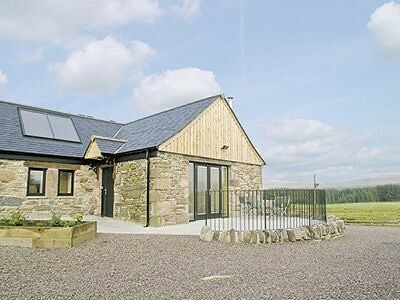 The Highland Riding Centre is at Borlum Farm, Drumnadrochit, Tel./Fax. 01456-450358. The Aquadome Leisure Centre is at Bught Park, Tel. 667500. Open Mon-Fri 0730-2200, Sat-Sun 0730-2100. Competition-sized pool, flumes, wave machine and kiddies' pool, also health suites, gym and other indoor sports facilities. The Inverness Tennis and Squash Club is at Bishop's Rd, Tel. 230751. Inverness is a good place to buy a kilt, or practically anything else in tartan. To find your own clan tartan, head for the Scottish Kiltmaker Visitor Centre. Other places which sell highland dress and traditional gifts are Chisholm's Highland Dress, 47-51 Castle St, Tel. 234599, open 0900-1730 and 1900-2130 in Jul and Aug; and Hector Russell, 4-9 Huntly St, Tel. 222781. At James Pringle Weavers (Holm Mills, Dores Rd, Tel. 223311), you can see tartan rugs being made in the weaving mill, then spend your cash in their extensive mill shop, and eat in the restaurant. The Eastgate Shopping Centre houses all the usual high street branches, and the Victorian Market on Church St has a wide range of shops. The largest bookshop in town is James Thin, 29 Union St, Tel. 233500, which has an excellent range of Scottish books and maps. There's also a branch of Waterstone's, at 50-52 High St, Tel. 717474. You shouldn't have much trouble finding somewhere to stay in Inverness, though in July and August it's advisable to book ahead. This can be done through the tourist information centre, or in the train station at the Thomas Cook booth, but you'll be charged a booking fee. 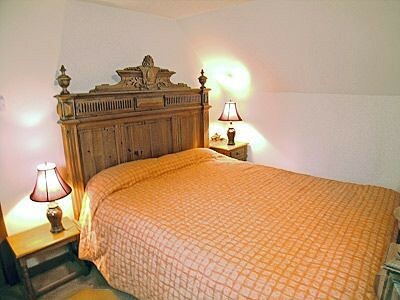 There are several good quality hotels in and around town and plenty of B&Bs. The best places to look are along both banks of the river south of the Ness Bridge, Old Edinburgh Rd, Southside Rd, Culduthel Rd and Ardconnel St, all to the east of the castle, and on the west bank, behind Balnain House, around Kenneth St and Fairfield Rd. There are also several budget hostels in and around the centre, and a couple of large campsites. 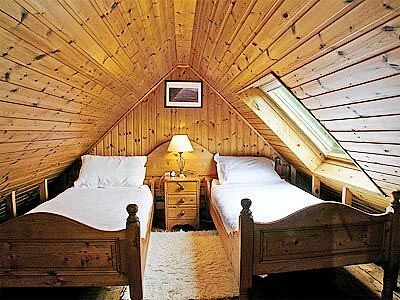 Kinkell Guest House, Inverness, Scotland offers comfortable Victorian family accommodation, traditionally furnished and tastefully decorated throughout. Culloden House Hotel,Milton of Culloden, about 3 miles east of town near the A9. Tel. 790461, Fax. 792181. 28 rooms. Superb Georgian mansion with 1st-class facilities, service and restaurant. Highly recommended. A Four Star Guest House only 10 minutes walk from Inverness City Centre with a Car Park available for guests. 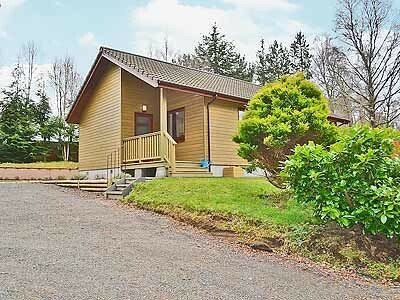 Dunain Park is a small luxury Scottish Country House Hotel in Inverness offering a very high standard of comfort & friendly efficient service, and set in its own scenic grounds.more details about Dunain Park Hotel. 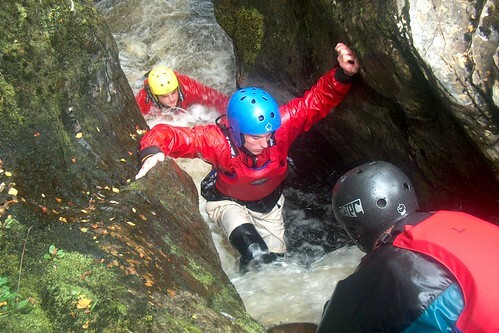 About 3 miles southwest of the town centre, just off the A82 Fort William Rd. Tel. 230512, Fax. 224532, dunainparkhotel@ btinternet.com 12 rooms. An elegant Georgian mansion house with its own grounds, lovely and peaceful with an excellent restaurant and its own indoor pool. 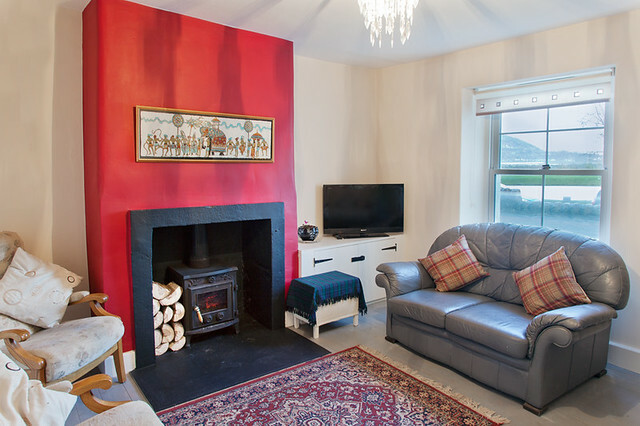 The Dolphin Bay Suites is a new 3 star self-catering apartments in one of the oldest buildings in the ancient and historical village of Ardersier, between Inverness and Nairn. Glenmoriston Town House Hotel, 20 Ness Bank. Tel. 223777, Fax. 712378. 15 rooms. Recently refurbished and now one of the classiest places in town, with a superb Italian restaurant. Highly recommended. 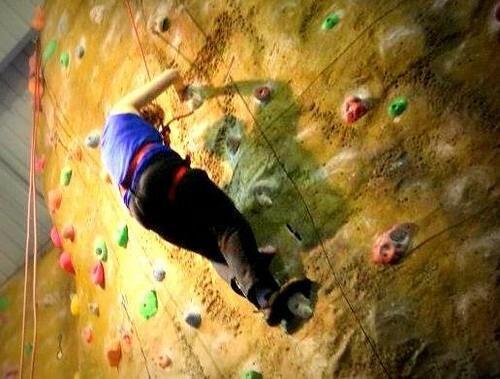 Inverness Marriot, Culcabock Rd, 1 mile south of the town centre near A9, Tel. 237166, Fax. 225208. 81 rooms. 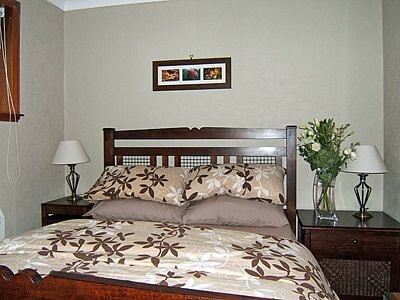 Large, modern hotel with excellent rooms, service and facilities. Brae Ness Hotel, 17 Ness Bank. Tel. 712266, Fax. 231732. 10 rooms. No smoking. Family-run Georgian hotel overlooking the river and Eden Court, with a licensed restaurant for residents. Ivybank Guesthouse, 28 Old Edinburgh Rd. Tel./Fax. 232796. 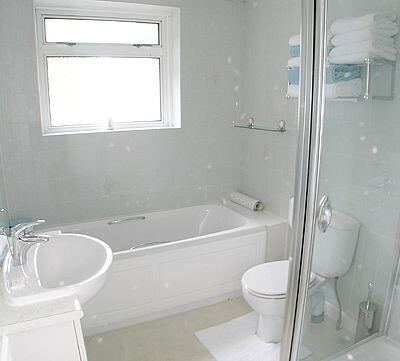 5 rooms, 3 with en suite bathroom. Georgian house with lots of character, nice garden and friendly welcome. , 11 Old Edinburgh Rd. Tel. 235243, Fax. 225255, clare@kinkell. freeserve.co.uk 7 rooms, 3 with en suite bathroom. Comfortable Victorian family home with spacious rooms, decent value (£2 charge for credit card payment). Bazpackers Hostel, 4 Culduthel Rd (at the top of Castle St), Tel. 717663. 48 beds in dorms of 4-8, twin and double rooms available, cooking facilities and garden for barbecues, also has laundrette, good atmosphere. Eastgate Backpackers Hostel, 38 Eastgate (above La Déjà Vu restaurant), Tel./Fax. 718756, www.hostelsaccommodation .com 47 beds in 5 dorms, 2 twins rooms and 1 family room, free tea and coffee, and continental breakfast for £1.50. Discount for ISIC holders. 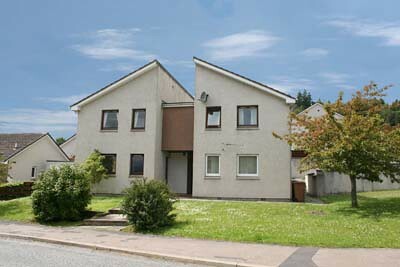 Inverness Student Hotel, 8 Culduthel Rd, next door to Bazpackers, Tel 236556. 9 dorms with 57 beds, some dorms have good views. 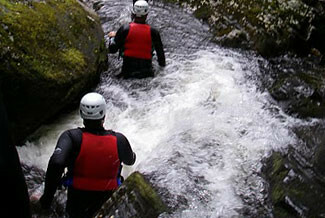 Friendly and laid-back atmosphere with all the usual facilities. SYHA Youth Hostel, Victoria Drive, off Millburn Rd, Tel. 231771, Fax. 710349. 166 beds. Huge hostel in former school hall of residence. Another cheap option is the Ho Ho Hostel, Tel. 221225, at 23a High St.
Bught Caravan and Camping Site, Bught Park, on the west bank of the river near the sports centre, Tel. 236920. 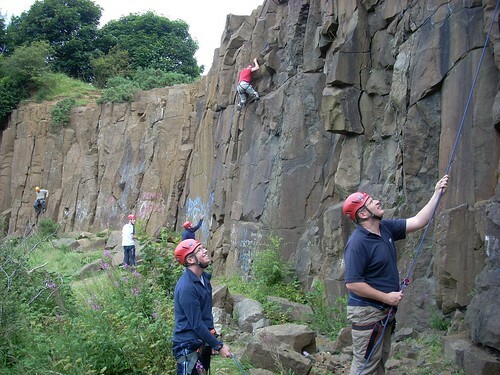 The largest and most centrally located campsite, with good facilities; £4.30-11.40 per pitch.